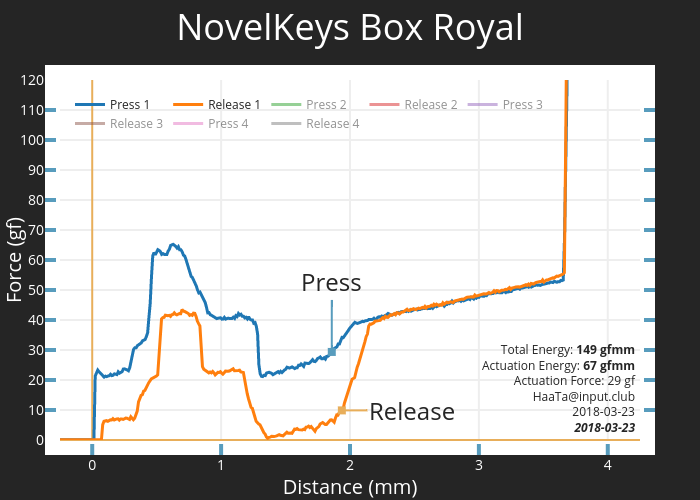 NovelKeys Box Royal (Purple) tactile switches use a thicker tactile leaf to provide intensely tactile, medium resistance key travel. They incorporate numerous advantages from Kaihua's Box switch architecture. Precision molds and tooling result in an increased lifespan — Box switches last 25% longer than regular MX variants during stress testing. The square stems also virtually eliminate wobble.